By an unexpected combination of circumstances, the nice people who do PR stuff for Millets dropped me a line a couple of weeks back to see if I'd be interested in reviewing any bits and pieces for them. Now, the attentive follower of the blog will know that I don't hold myself out as being a particular expert on all things outdoorsy, but after having a wee look at their website the thought did occur that there were certain items which I'd be as well placed as anyone else to offer a view on. That denim aversion has led, after dalliances with various manufacturers, to me being almost permanently clad in Craghopper Kiwi breeks, for everything other than work. From that starting point, the idea of testing a pair of Millets own branded Peter Storm "Active Trousers" appeared worthwhile, because it afforded a good basis for comparison. Within a couple of days, a box containing said item arrived (it also contained a thermal baselayer, more of which later! ), addressed, rather excitingly, to me and the Blog. I've never had a package with Splendid Isolation written on it before, but I could get used to it. Apart from anything else, the neighbours may find it intriguing and mysterious. 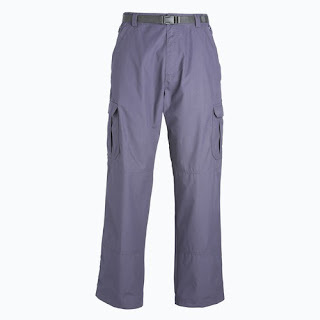 "Active trousers are great for walking and travel: they provide UV protection and are treated with a mosquito repellent. 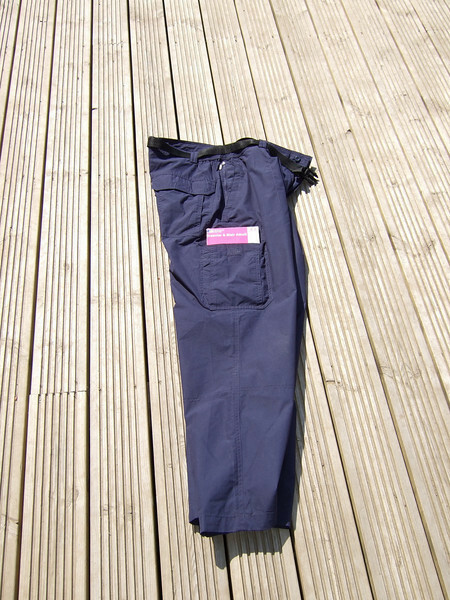 Made in an easy care blend of polyester and cotton, they are shower resistant and are equipped with a part elasticated waist with a belt, two front handwarmer pockets, two leg cargo pockets, two jetted rear pockets and two side security pockets, plus one more inside. Machine washable." Two weeks pretty constant wear suggests there's not much wrong with that broad description. They're quite a light, (summer weight?) pair of strides, and so far they've proved the very thing for dogwalking and general pottering about. I've got no reason to doubt the claims for UV protection, and mosquito repellency, but I'd be kidding on if I said those aspects have really been "field tested" yet. If they keep the midgies away over the next few months they'll be worth their weight in gold, of course! The sample I got was navy. That's what Millets call the colour; that's what my better half calls the colour; but if you ask me the perfect description is boiler suit blue. This actually helps them look quite, er, rugged and purposeful, so it's no bad thing. "Shower resistant"? Well, I don't know about that. I can say that they're very quick drying, but on two consecutive mornings I got caught in some serious rain, and they certainly soak through like most trousers, however - probably owing to the lightness of the fabric - they didn't get to that horrible cold clingy stage that is all too familiar to those of us who spend too much time out in the Scottish weather. Wet or not, they remained comfortable which is about as much as you can hope for. On reflection, maybe they would be shower resistant in places other than Scotland. The webbing belt with plastic male/female buckle supplied is a bit flimsy, and not that easy to keep cinched tight enough. The part elasticated waist is much the same idea as in the Craghoppers version, and it does a decent job of keeping everything where it should be (regardless of the belt reservations). The pockets are good. Plentiful and good, no less. The handwarmer pockets are...well...what I would just refer to as pockets, but if part of your thing is to wander around with your hands in your trouser pockets, they're big enough for you to exercise your right to do so. My mother wouldn't approve, mind you. There's a zipped security pocket inside the front right hand pocket, which doesn't add any noticeable bulk, or interfere with access to the pocket - which isn't always the way of these things. Two hip pockets ("jetted" or cargoish, however you want to put it) with velcro flaps on both, and a zip closure on the left one as well - actually pretty useful if, like me, you can't get out the habit of carrying notes around in your hip pocket. The leg cargo pockets aren't all that deep, and initially I thought they were more cosmetic than practical but that impression was misplaced. They're plenty big enough for your normal dog walking accoutrements: treats, poop bags etc, and they pass the "tennis ball test" with no problem. That's when the dug finds an extra tennis ball down the park, and you have to get the one she brought back home while still keeping one hand free for a frisbee and the other hand free for the ball thrower. Or is that just me? Anyway, roomy cargo pockets are the ideal solution to that thorny problem, and these particular cargo pockets work just fine. I should say, in the interests of completeness, that those were all the pockets I could find, so I'm not sure how it squares with the website description, but if you find you need more than the ones I've described it's probably a rucksack you're needing rather than a pair of trousers. The Craghoppers Kiwis are tried and tested, and I've found them pretty much ideal for all dogwalking, travel and general leisure wear. I've never really taken to them as hillwalking trousers though, because once you've tried purpose built breeks with a bit of stretch in them, the shortcomings of anything other than that become all too apparent. The PS ones though might just be worth a punt in the warmer weather, because they are noticeably lighter than the Kiwis. The payoff for that is the fact that they don't have the reinforced knees and seat that the Kiwis do - but not everybody probably wants double thickness trousers. Both trousers are the same 65% polyester, 35% cotton mix, incidentally. The Active trousers are just as well finished as any of the Craghoppers ones I've had in the past, and if anything, they afford slightly more freedom of movement for the more energetic parts of the daily dog walking routine. That could be the sizing difference, of course. The single thickness material also makes them that bit more comfortable for general lounging around, for want of a better expression. And I do a lot of that, given the chance. It still counts as a leisure activity. They're really rather good. As I said, I've pretty much lived in the Kiwis as casual trousers for ages now, but unless you can pick them up in the sale (or Go Outdoors happen to have some in realistic sizes!) they're not inexpensive. The Peter Storm ones are about half the price, they're quicker to dry, and for the milder weather at least they seem to do everything that you'd want of a pair of travel/active/dogwalking trousers. It'll also be interesting to see how they compare to the Kiwis when it comes to longevity. It's maybe because I press them into service for gardening, and they're not really intended for that, but it's sometimes not terribly long before remedial stitching is required. Further updates as events warrant. And you've got a baselayer review to look forward to as well, remember. Im about to replace my Kiwis. An OS map fitd in the Cargo pocket of Kiwis - just. How do these compare? 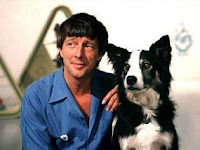 Hi Fred - the cargo pockets aren't deep enough for an OS map, assuming you want the flap to close of course! I've stuck a picture at the end of the review.